Your log home is a beautiful and sturdy dwelling but it needs regular maintenance to keep it that way. When a log home is built it is in perfect condition. Over time, logs can crack and spaces can develop between them. Regular maintenance should be done to make repairs that will keep your home looking and functioning well. If your home is in need of extensive repairs you may need a complete log home restoration in the Gulf Islands. There are many reasons why your house may need complete log home restoration in the Gulf Islands. Sometimes a home is left unattended for an extended period of time. Other times, a home may go without maintenance if it is being used only infrequently. Still other times, you may purchase a log home that is in disrepair. It can be difficult to restore your log home on your own, especially if you don’t have any experience. Fortunately, your log home can be restored to its original beauty with professional help. There are some things that will prove helpful when you are preparing to get your log home restored. First, if you know the name of the company that manufactured the log cabin package it will be helpful with the restoration. In addition, it is good to know the species of logs that were used in building your log home. If possible, it would be helpful to also know the name of the original builder in case there are questions that arise during log home restoration in the Gulf Islands. The first step in the restoration process is to assess the home’s condition and evaluate what needs to be done. If there are existing problems such as cracks or areas that are exposed to light and air, these need to be addressed first. The same is true for any structural issues that could cause the dwelling to be unsafe. These will need to be addressed as part of the restoration process. A complete assessment will determine the requirements so that an estimate for a restoration can be provided. Restorations can bring your home back to its original appearance. Even badly damaged or neglected homes can benefit from a restoration. When you get your log home restored it will look and perform as new. Any cracks will be repaired so there are no possible insect or rodent infestations possible. Repairs are done in a professional manner so they will be virtually unnoticeable. Then, the entire home will be restored. Getting your log home restored will not only improve its look but also the value. Once restored, your log home will last for many years to come. 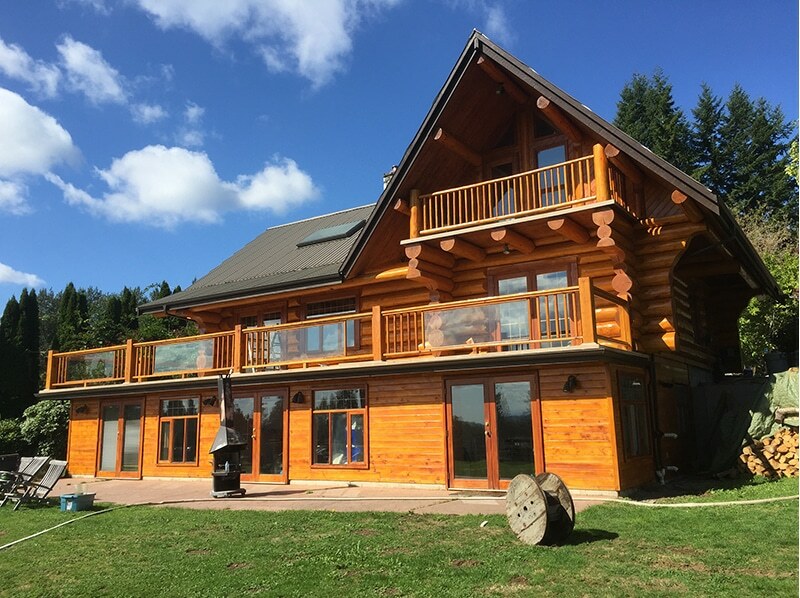 Proper maintenance is essential to keeping your log home in good condition. Regular professional care by a log home expert will ensure that your home will look and function well for generations to come. Contact us today to learn more about log home restorations and to get an estimate for restoration and repair.